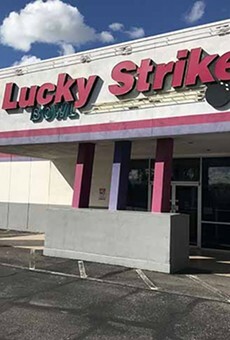 A cutting-edge bowling alley that looks like Fred Flintstone built it ... and it's connected to a Hooters? 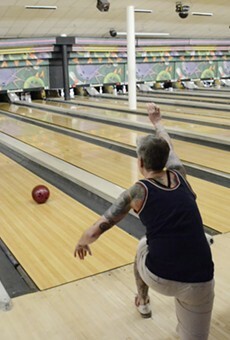 It's almost like someone built a bowling alley out of boy dreams from the golden age of cartoons or something. (There's even a Hooters hotline, so you can order hot wings without changing out of your bowling shoes.) There's karaoke and live music in the recently renovated Leopard Lounge on some nights, plus a number of professional-quality billiards tables for rent by the hour. With 30 tricked-out lanes and a huge arcade area, Bedroxx is pretty much the ultimate spot to throw a teenager's birthday party—but it's the adults who get down when the laser-light shows and DJs take over on weekends.